The Druzes (or Druses) are among the most controversial religious sects in the Middle-East. Their faith is guarded by a select few while the majority of the Druze population follows a way of life and shares a world view based on what the keepers of the "faith" prescribe. Early scholarly work declared that Druses originated with the Crusaders and owe their name to the counts of Dreux; a theory that is no longer widely accepted today. Druzes refer to themselves as “Muwahidoun” or Unitarians. Historically, the sect was established by Al-Hakim, the sixth Fatimid Caliph who ruled the Fatimid state from 996 to 1021 AD. The Fatimid ruler was born in 985 and became Caliph when he was only 11 years old. He is considered the creator (Imam) of the Tawhid faith which revolutionized the understanding of many spiritual and social concepts in previously known faiths. 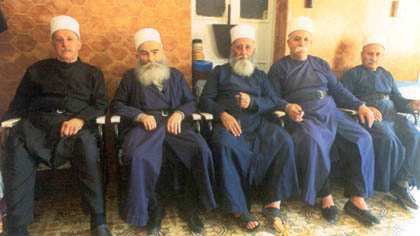 Most Druze consider themselves Muslims. Mainstream Islam however does not accept them as a part of Islam – they are considered heretic. In April 2006, the spiritual leader of the Druze community in Israel, Sheikh Mowafak Tarif, signed a declaration calling on all non-Jews in Israel to observe the Seven Noahide Laws as laid down in the Bible and expounded upon in tradition. The declaration includes the commitment to make a better humane world based on the Seven Noachide Commandments and the values they represent commanded by the Creator to all mankind through Moses on Mount Sinai. Support for the spread of the Seven Noahide Commandments by the Druze leaders reflects the Biblical narrative itself. The Druze community reveres the non-Jewish father-in-law of Moses, Jethro, whom Muslim Arabs call Shu’ayb. According to the Biblical narrative, Jethro joined and assisted the Jewish people in the desert during the Exodus, accepted monotheism, but ultimately rejoined his own people. 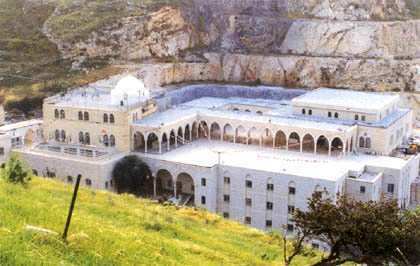 In fact, the tomb of Jethro in Tiberias is the most important religious site for the Druze community. According to Wikipedia, the Druze religion developed out of Ismaili Islam, a philosophical movement based in the Fatimid Caliphate, in the 10th century, a time of particular cultural wealth. The religion did not attempt to reform mainstream Islam but to create a whole new religious body influenced by Greek philosophy, Gnosticism and Christianity, among others. Walid Joumblat, MP, Druze political leader, seen here drinking Yerba Mate, a traditional South American herbal drink that is popular in Lebanon's Druze regions. Walid Joumblat (born August 7, 1949) is the son of Druze leader Kamal Joumblat, the assassinated founder of the Progressive Socialist Party (PSP), which Walid Jumblatt currently leads. Although it remains to be verified, many in Lebanon believe that the Syrian regime was behind his father's murder. Druze religious symbols have five colors consisting of Green, Red, Yellow, Blue and White respectively. These colors represent the five wise prophets of Al-Mowahideen. Green (Al-Akl) symbolizes "the mind," Christ's Consciousness, the pristine mirror of truth, Plato's sun whose light makes knowledge of the truth possible. Red (Al-Nafs) symbolizes "the soul," the moon (the gentle reflector of the sun) the reciever of the light, and the witness of the truth in every age. Yellow (Al-Kalima) symbolizes "the word", who's the mediator between Plato's realm of eternity and Aristotle's realm of material existence. "The word," after all is the purest form of expression and the softest embodiment of the truth. Blue (Al-Sabik) symbolizes the potential, the mental power of the will to be-come. White (Al-Tali) symbolizes the actualization of the potential, the be-coming of the blue power, the full materialization of Plato's world of forms in the world of matter.